COMPLEXITY and ambivalence are inherent in Israel’s relationship with its Middle Eastern environment. Gaining a more than basic understanding of the current complexities involved requires an examination of at least two questions. First, how does Israel respond to the tumults affecting many of its neighbors and much of the Middle East? Second, how should observers think about the new challenges posed by a rapidly shifting strategic environment? These and similar questions inform debates on Israel’s national security agenda, which continues to be shaped by the hostility of a large part of the Arab and Muslim worlds. The Arab-Israeli conflict is now in its seventh decade and is rightly seen as one of the most intricate and difficult international problems since the end of World War II. An initial step to understanding its complexity is to recognize that there is no single Arab-Israeli dispute, but rather a cluster of distinct yet historically interrelated conflicts. The first is the core conflict between Israel and the Palestinians. This is a classic conflict between two national movements, both claiming historical title to, and vying for possession of, the same land. This original strand in the Arab-Israeli dispute was overshadowed for some fifteen years (1949–64) by the pulverization of the Palestinian community that had been dispersed during Israel’s war of independence, as well as by the preeminence of pan-Arab ideologies and particular Arab state interests. The resurgence of Palestinian nationalism in the mid-1960s, and, ironically, the establishment of Israeli control over the whole of Palestine west of the Jordan river in 1967, restored a major role to the Palestinians in the Arab world. Their new importance was reinforced by the PLO’s offensive against Israel, conducted with the defeat of the established Arab armies in the background. The second is a broader dispute between Israel and Arab nationalism. This is a national, political, cultural, and increasingly religious, conflict. Both sides came into this conflict carrying their historical and cultural legacies. The Jewish people’s national revival in their historic homeland in the immediate aftermath of World War II and the Holocaust, after millennia of exile and persecution, unfolded during a head-on collision with an Arab national movement seeking revival, renewal, and power after a century of soul-searching and humiliation at the hands of Western powers. Unfortunately, most Arabs have perceived Zionism and Israel as either part of the West-or worse-from their perspective, a Western bridgehead established in their midst. The third is a series of bilateral disputes between Israel and neighboring Arab states created by geopolitical rivalries combined with other factors. Thus, Egypt was drawn into war with Israel in 1948 by the Palestinian problem; but its decision to join the Arab war coalition and its subsequent conflict with Israel were also affected by the ambitions of Arab and regional leaders, by Egypt’s sense of competition with Israel, as the other powerful and ambitious state in the region, and by a desire to obtain a land bridge to the eastern Arab world through the southern Negev Desert. Similarly, Syria’s bitter relationship with Israel has expressed both its genuine attachment to Arab nationalism, the Palestinian cause, and its acute sense of rivalry with Israel for hegemony in the Levant. The fourth is the larger international conflict. The Palestine question has long been an important and salient international issue. The interest and passion aroused by the Holy Land (Falastin to Arabs and Muslims), the saliency of what used to be called the Jewish question, the rivalries of colonial powers and later the superpowers in the Middle East, and the overall geopolitical importance of the Arab world, are some of the considerations and forces that have accounted for the significance in international affairs of the evolving Arab-Israeli conflict. The conflict was not originally, nor subsequently, allowed to be a merely local squabble. Arabs and Israelis from the outset sought international support for their respective causes, while foreign governments and other actors—out of genuine commitment to one of the parties, in search of gain, or for the sake of peace and stability—have always intervened. In sum, during the past 66 years, Israel has been able to crack the wall of Arab hostility, to make peace with two Arab neighbors, and to establish semi-normal relations with several Arab states. But the Arab-Israeli conflict—and its Palestinian core in particular—rages on, with Iran having more recently joined the fray as a powerful and determined adversary. In Israel, debates over the state’s identity, its place and role in the region, and the more specific issues of the future of the West Bank and Israel’s relationship with the Palestinians, govern the country’s politics and national discourse. Even casual observers of Israel’s March 2015 election campaign have noted that it is being conducted over a wide range of issues—the foremost of which is a sort of referendum on the aforementioned key questions. Thus, in the elections’ immediate aftermath, whoever forms the next government will have to deal primarily with the Palestinian issue and the national security challenges facing the country. The Middle Eastern regional system is in a permanent state of flux. As a region given to domestic unrest, intra-regional conflict, and superpower competition, it has never been marked by stability, but during the first decades of the postcolonial era there was a pattern: the two protagonists of the Cold War cultivating their local allies; Turkey and Iran playing limited roles; a series of inter-Arab conflicts, primarily between radical, revolutionary regimes allied with the Soviet Union, on one side, and pro-Western, moderate/conservative regimes, on the other; and the endemic Arab-Israeli conflict. This pattern has been gradually altered since the late 1970s. With the Islamic Revolution of 1979, Iran suddenly went from being on the margins to being a central player in the Middle Eastern political arena. Similarly, Prime Minister Recep Tayyip Erdoğan’s rise to power and Turkey’s subsequent shift from a European orientation to a foreign policy orientation focused more on its immediate neighborhood to the south and east saw Turkey become a prominent political actor in the Middle East in the early years of the twenty-first century. The entrance of these two fully-fledged, powerful actors into the fray had a profound impact on the region’s politics. Both Iran and Turkey are large, populous, non-Arab Muslim states seeking to promote their brand of Islam in the Arab world. Each has sought regional hegemony in its own way: Erdoğan’s vision of himself as the most popular leader in the Arab world and of Turkey as a model of “Islamic Democracy” (which culminated in the years 2008–2011) ended in disappointment and, was subsequently replaced by more modest interest in its immediate neighbors, Syria and Iraq, and support of the Muslim Brotherhood and Hamas. Iran’s quest has been more sustained and ambitious. Iran is not just a regional power seeking hegemony; it is also a revolutionary regime seeking to transform the region’s politics and upend the status quo in several Middle Eastern countries. Next we turn to the United States. During the 1990s, in the aftermath of the Soviet Union’s collapse, its own success in the first Gulf War, and in the wake of being the sponsor of a successful Arab-Israeli peace process, America enjoyed a position of unprecedented influence and prestige in the Middle East. 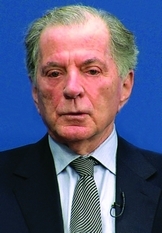 However, since the early 2000s, both Washington’s position in the region and its view of the Middle East have been altered by a series of developments: the unsuccessful wars in Iraq and Afghanistan, the failure of two efforts to promote or impose democracy in the Arab world, the collapse of (and failure to revive) the Israeli-Arab (and, more specifically, Israeli-Palestinian) peace process, the diminished importance of Middle Eastern oil to the American economy, the failure to navigate between reformists and Islamists in the context of the Arab Spring, and the apathetic response to the Syrian civil war. All of these developments have combined to create both the perception and the reality of diminished American interest and influence in the region. The United States did put together the military coalition against the Islamic State and it does play the leading role in the air campaign against the group, but the conviction that Washington is no longer ready to commit ground troops to cope with Middle Eastern crises has had a significant impact on the region, and on America’s standing in it. Needless to say, the events of the past five years—particularly the Arab Spring and the subsequent descent into chaos—have had a profound impact on the regional political system. Five countries—Syria, Iraq, Lebanon, Libya, and Yemen—can now be defined as “failed states.” The Syrian crisis has become the arena of a proxy war between rival regional coalitions. The swift rise of the Islamic State—its control of a large swath of land on both sides of a non-existent Syrian-Iraqi border, and the challenge it poses (alongside other jihadists)—is now a major issue for several states in the region, as well as for the international system. 4. A jihadist axis composed of the Islamic State, al-Qa’ida, and affiliated groups across the region. For the first five decades of its existence, Israel’s main national security concern was conventional warfare: how to deter, minimize, and win conventional wars. At present-and for the foreseeable future-Israel does not face a conventional military threat. It is at peace with Egypt and Jordan, and the Syrian and Iraqi armies have been decimated by domestic developments and the 2003 American invasion of Iraq. But the conventional threat has been replaced by fresh challenges at the supra- and sub-conventional levels. The supra-conventional threat is twofold. The first is Iran’s construction of a nuclear arsenal. The diplomatic and clandestine efforts and the threat to resort to military action in order to stop the Iranian nuclear project have been dominant issues in Israeli Prime Minister Benjamin Netanyahu’s national security and foreign policies since 2009. Israel was successful in aborting Iraq’s (1981) and Syria’s (2007) quests for a nuclear arsenal, but dealing with the Iranian nuclear project is a much tougher challenge. Israel’s threat to act militarily loomed large in 2012–2013, but has since been eclipsed by the interim agreement and the Lausanne agreement reached by Iran and the P5+1. Like Saudi Arabia and other regional actors—and like President Obama’s conservative domestic foes—Israel has been critical of the agreements, as well as dubious of both their completion in June 2015 and the prospect of achieving a satisfactory diplomatic solution to Iran’s determination to become a nuclear power. At this point, Netanyahu—bolstered by his impressive electoral victory in mid-March 2015—is focusing his efforts on building Republican opposition to the agreement in the U.S. Congress and mobilizing American public opinion against it. In the next few weeks, Israel will continue to monitor developments, seek support for its criticism of the Lausanne agreement, and make specific decisions according to the course of events (that is to say, completion of a deal to which it Israel opposed, or collapse of the whole effort). A military option is not completely off the table, but is not very likely in the event of a finalized deal that international opinion accepts—albeit with serious reservations. The other challenge at the supra-conventional level has been the adoption of “high-trajectory fire” arsenals (missiles and rockets) by both neighboring and distant foes. Iran has a significant arsenal of medium-range missiles, and Syria’s arsenal has been diminished but not eliminated by the civil war; however, it is primarily in the context of its past and potential future conflict with Hizballah and Hamas that Israel has to deal with this new dimension. What began in the 1970s (in Lebanon) and in the early 2000s (in Gaza) as short-range harassment by rockets has developed into a strategic threat. Israel’s war with Hizballah in 2006 and three wars (or mini-wars) with Hamas demonstrated the escalating scope of the missile threat to Israel’s cities and infrastructure and the difficulty of neutralizing that threat. Israel, or in the event of war, to force Israel to escalate its operations to the point of antagonizing international public opinion and exacerbating the erosion of its legitimacy. They, thus, offer a rare example of combining sub- and supra-conventional levels of threat. The military capabilities of Hizballah and Hamas are also a by-product of Iran’s regional ambitions and policy. Hizballah’s rise to political preeminence in Lebanon is the single greatest success of Iran’s quest to export the Islamic revolution. But beyond exporting the revolution and cultivating an important Shi’ite constituency, support for Hizballah in Lebanon (and, in a different fashion, for Hamas in Gaza) serves additional Iranian interests: in effect, supporting these groups has enabled Iran to catapult itself from the Middle East region’s eastern periphery to its core area on the Mediterranean and on Israel’s northern and southern borders. Hizballah’s arsenal is clearly also designed to serve as a deterrent against Israeli attacks on Iran’s nuclear installations. While the threats Hamas and Hizballah pose to Israel pale in comparison to the prospect of a nuclear Iran, they are taken seriously by Israel’s national security establishment. Iran’s support of Hamas and Palestinian Islamic Jihad has turned it into a significant actor in the Israeli-Palestinian conflict. Iranian and Syrian support of Hamas has been disrupted by the Syrian civil war, but this support has not completely vanished. Thus, as Israel’s leaders and national security establishment assess the prospect of an armed conflict in 2015, the three most likely scenarios they see are another round of fighting with Hamas in Gaza, a second major clash with Hizballah, and a transition from diplomatic to military conflict with the Palestinian Authority. In crafting its foreign and national security policies, Israel’s current choices at the regional level are limited and clear. Of the four axes in regional politics mentioned above, three are certain or likely to remain hostile. This is most obviously the case with regard to Iran and its allies and subordinates. There is also no prospect of a fundamental improvement in Israel’s relations with Turkey. Erdoğan is interested in maintaining the economic and trade relationship, but not in diplomatic normalization—let alone a restoration of strategic ties. Under these circumstances, the prospect of exporting Israeli gas via Turkey remains dim, and Turkey will likely remain a bitter critic and regional rival of Israel, though not an enemy. Israel’s obvious choice is to seek to develop its relationships with the moderate/conservative states: Saudi Arabia and its allies in the Gulf, as well as Egypt, Jordan, Morocco, and Algeria. Israel shares with Saudi Arabia a firm opposition to Iran’s nuclear program and its quest for regional hegemony, wariness over Washington’s Middle East policy, and concern with the rise of the jihadist current in regional politics. Israel and Sisi’s Egypt have common interests in the Sinai Peninsula and in the Gaza Strip, and they share similar views of the region and American policy in it. Israel and Jordan maintain tacit and effective security cooperation, and Jordan can reasonably assume that it can count on an Israeli safety net in the event of a major crisis emanating from the Islamic State or Syria. On the Palestinian issue, Israel and Jordan are still performing a subtle minuet: Jordan, at best ambivalent on the notion of Palestinian statehood, has been pressuring Israel to complete the final status negotiations and accept Palestinian statehood, whilst expecting Israel to pay the cost of stemming the tide of Palestinian nationalism. Jordan, like Egypt, has also recently decided to buy (indirectly) Israeli natural gas and depends on Israel for its water supply. Critics are concerned that such cooperation represents a normalization of relations with Israel and fear that Jordan and Egypt will become dependent on Israel to meet their energy needs. Normalization with Israel was controversial even at the height of the peace process of the 1990s, and has become much more so as the peace process grinded to a halt. So far, though, both Amman and Cairo have decided that the need to obtain relatively cheap and secure energy outweighs the political costs of collaboration with Israel. The pace and intensity of political change in the Middle East over the past five years have been exceptional even for a region proverbial for its instability. The high hopes of the Arab Spring in late 2010 and in 2011 have now been replaced by the grim realities of the “Great Unraveling”—a term increasingly used to refer to the period marked by the Syrian civil war, the disintegration of the Iraqi state, the lingering failure of the Lebanese state, the anarchy in Yemen and Libya, and the rise of the Islamic State. Against this backdrop, Israel’s response has been rather limited and passive. Truth be told, there was not much that Israel could do in the context of the Arab Spring. Israel had a clear vested interest in the welfare of the Egyptian and Jordanian regimes (with which it had functioning peace treaties), and, more broadly, in the stability of the moderate/conservative regimes (with Israel being limited in its ability to shore up these regimes). An academic debate arose in Israel between the right-wing proponents of the status quo in the Middle East and the more liberal advocates of democratic change in the region, with the latter arguing that in the long run, democratic change is the key to stable peaceful relations with Israel’s environment. For Netanyahu and his right-wing allies, on the other hand, the Arab Spring merely reinforced their skepticism about the prospects for peace. In their view, a time of turmoil was not the right time to give up territory and take risks. In any event, the Arab Spring abated; the peace treaties with Egypt and Jordan—two pillars of Israel’s national security—were preserved; and the old order largely survived in much of the Arab world. The challenges and opportunities posed by subsequent events were different. 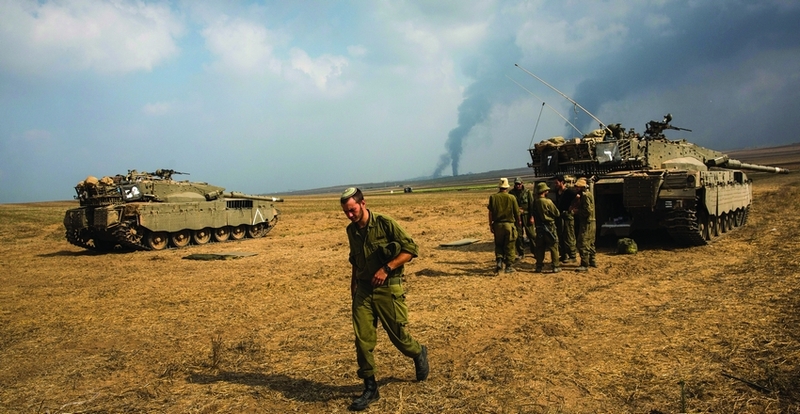 Today, Israel’s most important policy dilemma is how to deal with the Syrian crisis. A neighboring state, a formidable military foe, and a partner to intermittent peace negotiations, has been thrown into a lengthy, terribly destructive civil war that, furthermore, became the battleground of a proxy war between regional and international rivals. Important Israeli interests are at stake: Syria’s future as a state, the prospect of its partition into statelets, and the dangers of an Islamist takeover; the repercussions for Iran’s and Hizballah’s position in Lebanon; the disposition of Syria’s advanced weapon systems and weapons of mass destruction; and, finally, the prospect of a victory by an axis composed of Russia, Iran, the Assad regime, and Hizballah. Two schools of thought on how to confront these challenges have emerged in Israel’s policy and national security communities. The first—the “devil we know” school—argues that despite of all his faults and shortcomings, Assad remaining in power in Syria is preferable for Israel; as the alternative is either chaos or an Islamist/jihadist takeover (or both). The other school argues that Assad’s survival would leave Israel with a dangerous Iran-Syria-Hizballah coalition on its northern borders (the memory of the 2006 war in Lebanon is still fresh in the minds of many Israelis), while his fall would mean a defeat for Iran’s regional policy, as well as a related first step in dismantling Hizballah’s position and arsenal in Lebanon. Kurdish autonomy in the east; however, these speculations never developed into serious policy planning. Whatever the arguments raised by the proponents of these two schools, Israel’s actual response to the Syrian crisis has been cautious and limited. The absence of a clear-cut choice has contributed to the largely passive stance taken by Israel. This trend has been reinforced by Netanyahu’s caution and preference for the status quo, as well as by the conviction that Israel’s ability to help shape the future of Syrian politics is hampered by the opposition’s reluctance to be seen as Israel’s allies or proxies. The regime’s narrative has been from the outset that this is not an authentic civil war, but rather a conspiracy hatched from the outside, by Syria’s enemies. Hizballah, has responded to minor provocations along the ceasefire line in the Golan, and has tacitly offered humanitarian aid. But of Syria’s five neighbors, Israel has been the least involved in, and least affected by, the devastating civil war. It is important to point out that this state of affairs could be reversed in short order, and that Israel could easily face a sudden national security crisis emanating from the Syrian conflict. This could happen in a number of ways: a decision by the Assad regime to retaliate against a future Israeli interdiction of another attempt to transfer weapon systems to Hizballah; jihadist groups taking control of a larger part of the country and deciding to turn their weapons against Israel; or, in a development that had been unfolding, a decision by Hizballah to start operating against Israel from the Syrian part of the Golan Heights. It is to this last scenario to which we can turn in greater detail. In mid-January 2015, tensions rose along the Lebanese-Israeli border and in the Golan Heights when Israeli drones apparently destroyed two vehicles in the Syrian Golan, killing 12 Iranians and Hizballah personnel. In addition to an Iranian general, among the dead was Jihad Mughniya, the son of former Hizballah Chief of Operations Imad Mughniya, who had himself been killed in Damascus in 2008. Israel refrained from taking responsibility for this operation, whist trying to calm its northern front. It seems, though, that Israel became aware of Hizballah’s preparations and decided to nip them in the bud without realizing that its operation would lead to such a dramatic outcome. The current tension may well have been brought under control, but the potential for escalation remains considerable. On January 28th, Hizballah’s leader, Hassan Nasrallah, delivered one of his fiery speeches. While saying that he was not interested in a war with Israel, he asserted that he was not afraid of one and did not recognize Israel’s “rules of engagement.” On that occasion, Nasrallah added that the martyrs who fell in Qunaitra reflected a fusion of Lebanese-Iranian blood on Syrian territory, and also reflected the unity of the cause and the unity of the fate and the battle of these countries [against Israel]. When blood unites Palestine, Lebanon, Syria, and Iran, then we will enter an era of victory. When Nasrallah repudiates “the rules of engagement,” he is in fact saying that the deterrence achieved by Israel after the 2006 war in Lebanon no longer exists. Indeed, the Israeli defense establishment has sensed for some time now that Hizballah conducts itself more aggressively and is preparing an infrastructure in the Syrian Golan for attacks against Israel. The Israeli operation was intended to signal to Hizballah that this new line of conduct is not acceptable to Israel. Yet the clashes of late January ended in a draw. This is illustrative of the fact that Israel cannot achieve easy victories in a new war of attrition with Hizballah. The danger of deterioration to war is another problem—and while such a war would probably end in an Israeli victory, its cost might very well be prohibitive. Under these circumstances, Israel’s best option is to signal to Hizballah and its Iranian patrons that its response to escalation along the Lebanese-Israeli border and the Golan will not be local, and that it may well target major units and installations belonging to the Assad regime—thus affecting the course of the Syrian civil war. This would not be a simple or easy decision. With the current conditions in Syria, it may play into the hands of the Islamic State and run against the grain of the Western offensive against it. It could also trigger a significant Syrian response. This is a call the Israeli leadership will have to make if the trends observed in January 2015 continue; that call would have to be made in close coordination with Washington, in order to dovetail it with American policy in Syria and Iraq. Caution and restraint may well prevail, but the foundation for the first major change in Israel’s policy towards the Syrian civil war has been laid. Israel is naturally interested in the future of the Iraqi state and the prospect of its disintegration, but this interest is less intense than the country’s interest in the future of its immediate neighbors. The issue that is of highest potential interest for Israel in the Iraqi context is the prospect of Kurdish independence. Iraq’s Kurds have benefited from the turn of events that began with the American invasion in 2003, and culminated with the Islamic State’s rattling of the Iraqi state in June 2014. The Iraqi Kurds now control more territory and oil and have a stronger position vis-à-vis Baghdad. The temptation for the Iraqi Kurds to move from full autonomy to sovereignty and statehood is evident, but prospects for independence are tempered by American and Turkish opposition. The United States is interested in preserving Iraq’s territorial integrity and would rather not face the embarrassment of a failed Iraq in the aftermath of the American invasion and withdrawal. Turkey sees a mortal danger in the establishment of an independent Kurdish state on its border and the potential impact this could have on its own Kurdish population. Developments in Iraq have been compounded by the autonomy that Syria’s Kurds now enjoy. Turkey’s anxiety is also heightened by the prominence among Syria’s Kurds of elements identified with the PKK, the militant Kurdish organization that has been fighting against the Turkish state for decades. The Iraqi Kurdish leadership knows full well that its current good relations with Turkey and the flow of oil through Turkish territory would come to an end if they were to cross the threshold separating full autonomy from independence. The temptation for the Iraqi Kurds to move from full autonomy to sovereignty and statehood is evident, but prospects for independence are tempered by American and Turkish opposition. Israel has an obvious interest in the prospect of Kurdish statehood.There is a historic relationship between Israel and Iraq’s Kurds. In the 1970s, Israel trained and supported the Kurdish rebels in Iraq, seeking to tie down the Iraqi army rather than have it join Arab efforts against Israel on what was then known as the Eastern Front. That collaboration was terminated by the Shah’s Iran and Israel, leaving some residual resentment among the Kurds; nevertheless, Israel and the Kurds still view each other as potential partners. Seeking alliances with other non-Arab elements in the Middle East has been a traditional component of Zionist and Israeli policy, and a Kurdish state in Iraq and possibly in Syria could have positive strategic implications for Israel. However, though Netanyahu offered one public statement of support of Kurdish independence, and Israel did buy some oil from Iraqi Kurdistan, the Jewish State, like the Kurdish leadership itself (and for the same reasons), treads very carefully in this minefield. Israel also faces current challenges from jihadist groups. In southern Syria, Jabhat al-Nusra, a branch of al-Qa’ida, is the dominant opposition group. It has so far avoided engagement with Israel, preferring to focus on its conflict with the Assad regime; but this may well change over time. More significantly, the Islamic State in northern and eastern Syria is now the main opposition group fighting against the regime. Its effectiveness has been somewhat diminished by the American-led air campaign, but the prospect of the Islamic State’s ability to expand its territory, control, or influence southward cannot be ruled out. The Islamic State also recruits Israeli-Arabs and threatens to undermine the stability of Jordan. And, finally, as recent events in France and Belgium have demonstrated, the threat of terrorist attacks against Jewish and Israeli targets outside the Middle East is growing. The struggle against the Islamic State in Iraq has created at least a partial alignment of interests between the United States and Iran. Israel—like Saudi Arabia and other interested parties in the region—is following this development with concern. When the interim agreement over the Iranian nuclear issue was being negotiated, Israel and the other concerned parties suspected that in the side talks between American and Iranian negotiators, not just a nuclear deal but potentially also a larger understanding regarding Iran’s regional position and policy was being discussed. From an Israeli point of view, an American-Iranian understanding that would moderate Iran’s policies and change its position in Syria and Lebanon could conceivably be a positive development. But the current Israeli government, skeptical of the Obama Administration and its policies in the Middle East, worries that any concessions would be made by Washington rather than by Tehran. Israel is specifically concerned that Iran would not be pushed sufficiently back from the threshold of breakout capacity and that the monitoring arrangements would not be sufficient to prevent clandestine Iranian enrichment and weaponization. In the event of such a development, Iran’s regional ambitions would be boosted and a more aggressive policy might well be pursued both in the Gulf and in the Syrian-Lebanese arena. Furthermore, several Arab countries would likely reach the conclusion that Washington cannot be relied upon, and that they should therefore make their own deals with Tehran. As events in the context of the Great Unraveling continue to press and the P5+1 move closer to the deadline for a nuclear agreement with Iran, the March 2015 Israeli elections are likely to have a decisive influence on Israel’s policies toward the Palestinian issue and the Arab world. Should a new Israeli government decide to resume negotiations with the Palestinian Authority, it is quite likely that the new government would seek to place them in the context of a broader understanding with the Arab world. It is a traditional maxim of Israeli policy that it is easier to come to terms with the Arab states than it is with the Palestinians. The Arab states represent a larger arena that offers greater flexibility, and Israelis have greater confidence in agreements made with states than with non-state actors. In the background, the Arab Peace Initiative of 2002 (and 2007) is still awaiting an Israeli response. Such a response could be an excellent starting point for a major change in Israel’s current position in the region, as well as in its international standing. But while Israel’s interest in improving relations with the Arab states could provide a compelling new incentive for Israel to seek a resolution—or at least an amelioration—of the Palestinian issue, it will not necessarily take away many of the barriers to resolution or progress on both sides that have plagued the process for so long. At this point, however, Israel’s ability to affect events and trends in the Middle Eastern regional arena remains limited. With the Arab Peace Initiative still awaiting an Israeli response, these states could provide the impetus for a fresh look at the Israeli-Palestinian conflict. Israeli elections are governed by a complex agenda reflecting the diversity of the electorate and the deep cleavages in the country. Israel’s Arab minority elects a significant and growing bloc of Knesset members. At the same time, religious parties-as well as religion and state issues-are rising in importance, and social and economic questions are coming to the fore. But ever since 1967, the debate over the future of the territories captured in the Six Days War—and particularly the Palestinian question—have been the governing issues. In the 2015 election, Netanyahu himself became the focal point of the election campaign, but the debate over the fundamental issues of national security and the future of the West Bank remained the underlying issue in this crucial election. Netanyahu successfully outflanked the radical right wing parties; and with the votes he attracted away from them, he ended up with thirty seats in the Knesset—a clear and surprising victor. He has yet to complete his coalition negotiations—and the prospect of a national unity government cannot be ruled out. It is, however, more probable that he will end up with a right wing government on a likely collision course with the U.S. and the EU.